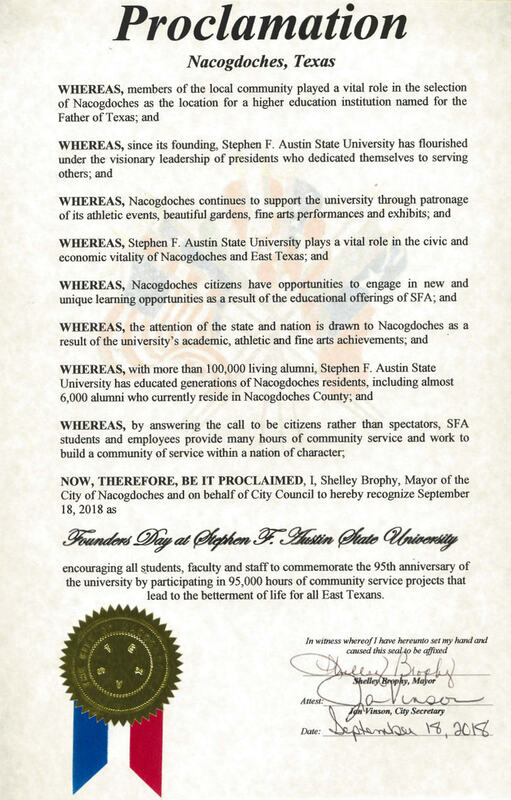 The Texas Senate and the City of Nacogdoches issued proclamations to recognize SFA's 95th anniversary. A celebration ceremony was held on Sept. 18, 2018 to commemorate SFA's 95th anniversary. If you were unable to attend the ceremony, you can watch it online. 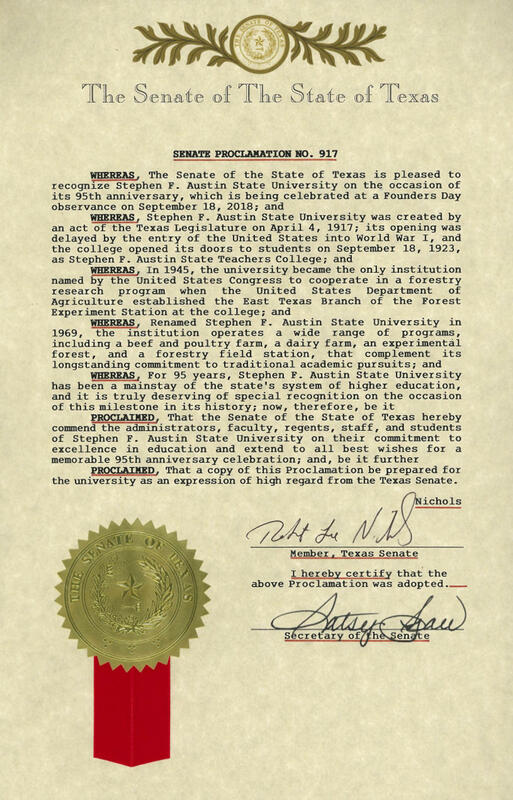 In honor of the 95th anniversary, the SFA students, faculty and staff members have pledged to provide 95,000 hours of community service this year.